Last August I published a chart in which I compared the core features of six online timeline creation tools. Since then one of the tools, Dipity, seems to have gone offline. In its place I now feature History In Motion which allows students to create timelines that are synchronized with placemarks on a map. 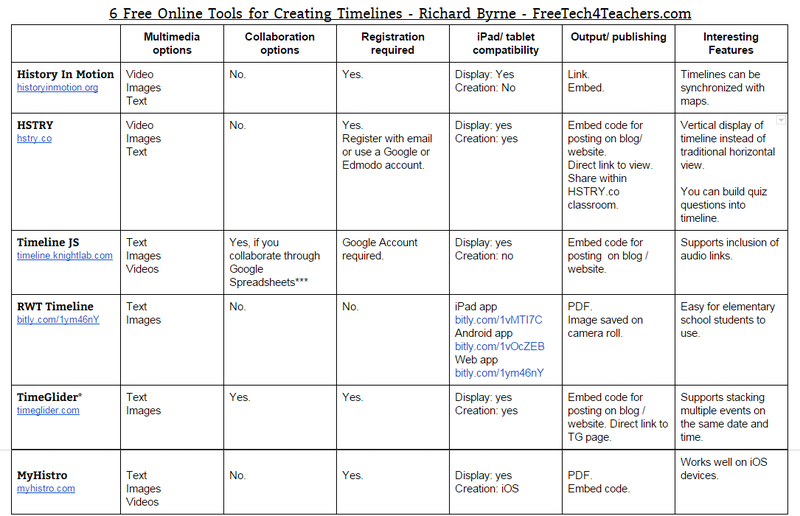 My complete chart of timeline creation tools for students is embedded below. You can also get the Google Docs version here.